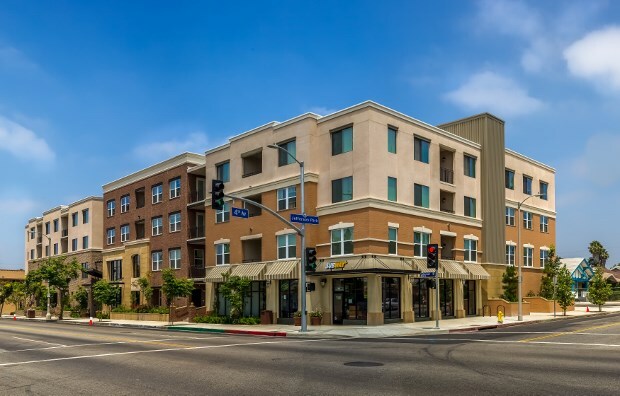 Jefferson Square is a 40-unit, tax credit community located in Los Angeles, CA. This property accepts Housing Choice (Section 8) vouchers. Applications may be downloaded on our website or picked up at the property. Please mail all completed applications to Jefferson Square, 2401 W Jefferson Blvd., Los Angeles, CA 90018. The one, two, and three bedroom units feature wall-to-wall carpeting and vinyl flooring, window blinds, a private patio or balcony, and a kitchen with a range and oven, refrigerator, and waste disposal. Jefferson Square residents enjoy access to a community room with a kitchen, fitness center, computer lab, television room, and library. The community features on-site management and maintenance staff. Resident activities include monthly birthday parties, tutoring, movie matinees and more. Jefferson Square is a LEED for Homes Silver project. Several sustainable features of the building are listed below. The site of the building is a previously developed infill lot, in an environmentally sensible location with existing municipal services. Residents have access to 14 basic community services within ½ mile of the building. The project is also a high density development with at least 20 living units per acre of land. The building uses water-efficient washers, faucets, shower heads, toilets and Energy Star refrigerators and dishwashers. Highly efficient lighting is used throughout the project and the building’s air conditioning systems use environmentally friendly refrigerants.